KAMPALA. A month after Makerere University announced that it would start giving government students Shs4, 500 per day for the meals, Kyambogo University has also revealed that it’s also unable to prepare meals for government students. Addressing journalists last week, Prof Elly Katunguka, the Kyambogo Vice Chancellor, said they are currently constrained to continue shouldering the burden of preparing meals for government students. 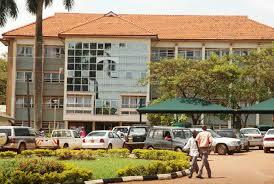 The arrangement, Prof Katunguka said, will start next semester in August. 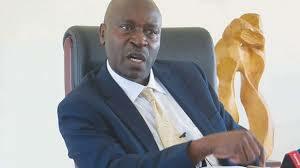 Kyambogo University vice chancellor Prof. Elly Katunguka. Before scrap the meal policy, Makerere University Council said they carried out a survey which revealed that over 50 percent of students recommended that the university gives them money to buy themselves food. Government has been providing Shs4, 000 per day to each student for meals. However, the university says the money is insufficient to provide the meals required by the students. Dr. Deus Muhwezi Kamunyu, the Makerere University Academic Staff Association (MUASA) chairperson, welcomed the move, arguing that if well managed, it would allow the university management to concentrate on decisions that are only related to studies.